Matt Gauldie was the unanimous choice from eight artists considered for the Waikato War Horse statue project – based on his sketch of the riderless mount seeking his rifleman companion and audience support during the various public displays of the artists’ submissions. 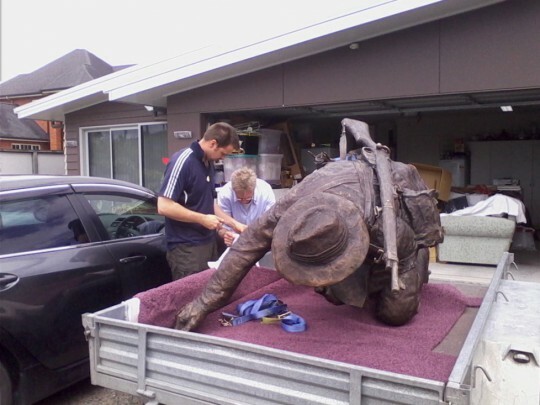 Serendipitously, it was the quality of Matt’s Sapper Moore-Jones bronze, commissioned by TOTI and installed in Hamilton’s main street in time for the Gallipoli landing centenary (2015), that brought Waikato Equestrians to TOTI for advice and assistance. 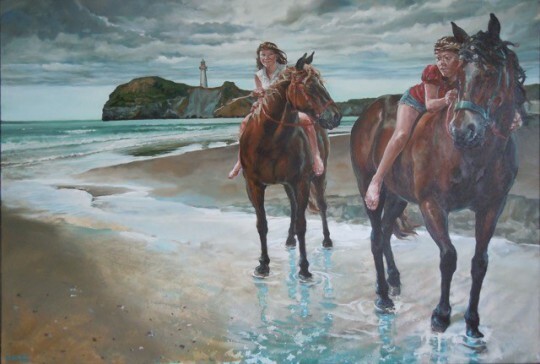 A multi-talented artist, Matt is achieving widespread recognition as an accomplished painter and sculptor, portraying both past and present in big and bold works with precision in detail. 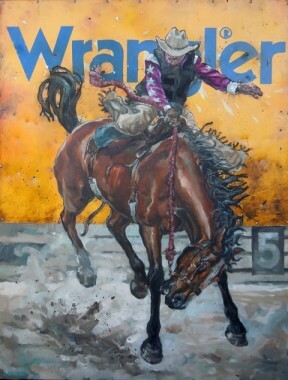 He knows his horses too, illustrated by his portrayal of the WW1 war horses at Messines, as well as today’s rodeo and recreational mounts (below). 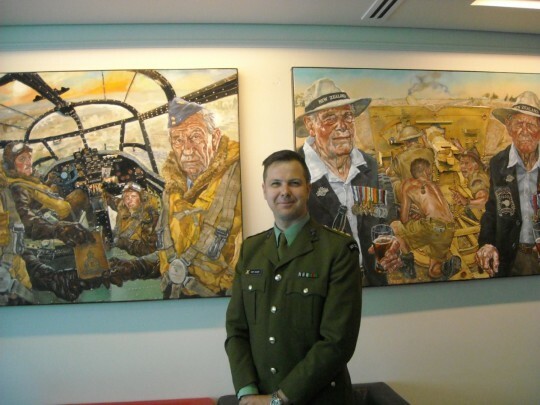 Born in 1976, Matt has just completed a decade as the official Defence Force Artist (Army, Airforce & Navy) following his initial appointment as Army Artist, creating a legacy of some 90 military-themed paintings and numerous bronzes. He trained with the army to better understand the people and the job, and was issued with the honorary rank of Captain after service in Afghanistan. Matt is well-versed in war history and has visited WW1 battlefields in Gallipoli and the Western Front. Matt Gauldie & Ross Wilson deliver the 200kg Moore-Jones statue to Hamilton ready for installation in February 2015.